For a refreshing, thirst quenching tequila cocktail, the paloma is definitely at the top of the list, and it's a favorite in Mexico. This is a light, fruity drink with a great fizz and one of the smoothest tequila drinks you can mix, as befitting a drink that takes its name from the Spanish word for dove. When you're ready to give your favorite margarita a break, go ahead and try a paloma. It's a true classic in the tequila world, and countless drinkers agree that it's one of the best. If desired, rim a collins glass with salt. Top it off with grapefruit soda and enjoy! When you find Jarritos, pick up a bottle of their tamarind soda as well. It's another fantastic soda that pairs well with tequila and can certainly be enjoyed on its own. If you cannot find Jarritos, Squirt is the other grapefruit soda of choice, and it is everywhere. To take your paloma to a whole new level, check out the grapefruit sodas from boutique brands like Q Drinks. If you don't have grapefruit soda readily available for this beverage, feel free to swap out that soda for grapefruit juice. It will still result in a wonderful cocktail! Two elements are essential in any paloma recipe: tequila and grapefruit. Traditionally, grapefruit soda is used, and Jarritos is the most popular brand available (their grapefruit is labeled as Toronja). It's not too hard to find this Mexican soda, especially if you look at markets that sell international food or shop online. Choose a great blanco tequila for the best paloma. If you're in the mood to splurge, reposados are nice, as well. Just make sure that you fight the temptation to play the cheapskate simply because this is a tall drink. The same quality rules you apply to the margarita should apply to your paloma as well. Once you learn to love the paloma, you will want to get a taste of the cantarito. That drink is just as refreshing; it simply builds on the citrus flavor. The recipe above is considered to be the original way to make a paloma. In the wild world of drinks, you can only imagine that a drink this popular has been made over more than a few times. The following recipe has become one of the popular renditions. In this paloma recipe, the soda and citrus ingredients have been flipped. Instead of a grapefruit soda, grapefruit juice is used. This requires a different soda to be brought into the mix and, in this case, club soda is called upon. All of the great paloma flavors remain, this recipe is just a different way to get the same results. Many people enjoy the original paloma a little more. When you're in the mood for the drink and no grapefruit soda can be found, turning to the grapefruit juice in your fridge is the next best thing. 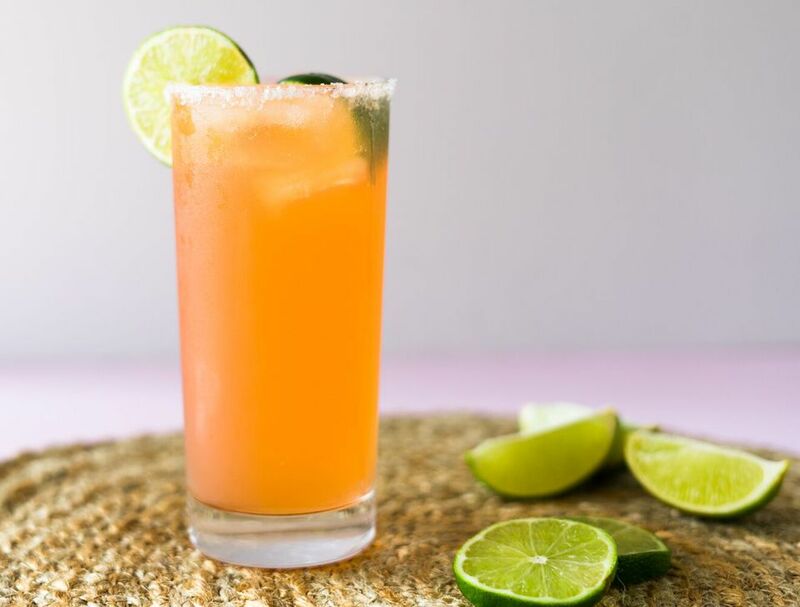 To make this drink, simply mix 2 ounces each of tequila and grapefruit juice with 1/2 ounce lime juice. Fill the glass with ice and top with club soda. Stir well. How Strong Is the Paloma? Your paloma can be as strong or as weak as you choose to make it, it all depends on how much soda you pour. Take the average and assume you pour 5 ounces of soda and use an 80-proof tequila. In this case, this tall drink is a very mild 10 percent ABV (20 proof). That makes this equal to the average glass of wine, so enjoy and salud.